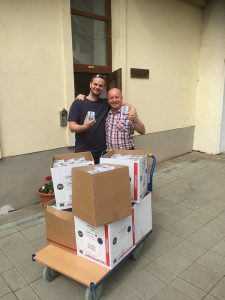 The organizators of Anna Kolesarova´s beatification on 1 June 2018 enabled the registration for people coming from parishes, communities, religious communities and priests who will be travelling by cars, buses or by public transport. The registered people will receive a seat-reservation ticket in the auditorium of the stadium. 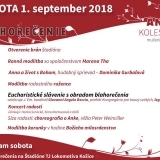 At the end of the registration on 31 July 2018 the seat-reservation tickets will be distributed through the responsible person to the parishes, communities or registered groups. Please, while you are registrating inform us about the real number of people who would like to have a seat during the celebration. For other people there will be a reserved place for standing. We do not need to see the seat-reservation ticket while entering the stadium but we need it for approximate number of pilgrims. There are two big parking lots for buses and cars from which free shuttle service will be provided. The registration is also needed when you will come by bus. The responsible person will receive the information for parking and the evidence of bus. 2. The priests who will concelebrate the Holy Mass also need to register themselves. According to the number of priests we can provide the seats and the celebratory stoles for them. Before the celebration the priests can offer their time for the service of confession from 7 till 10 o´clock on already reserved places on the stadium. The registered priests will find the information about the service of confession in their mail. 3. The registration of the religious communitites helps to create enough space in the sector for the orders. 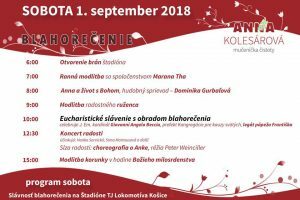 The celebration of Anna Kolesarova´s beatification is going to be on 1 September 2018 on the Lokomotiva Stadium in Košice. The registration allows not only enough space for the parking and the seats on the stadium but also a dignified atmosphere for everybody who will celebrate this event with us.